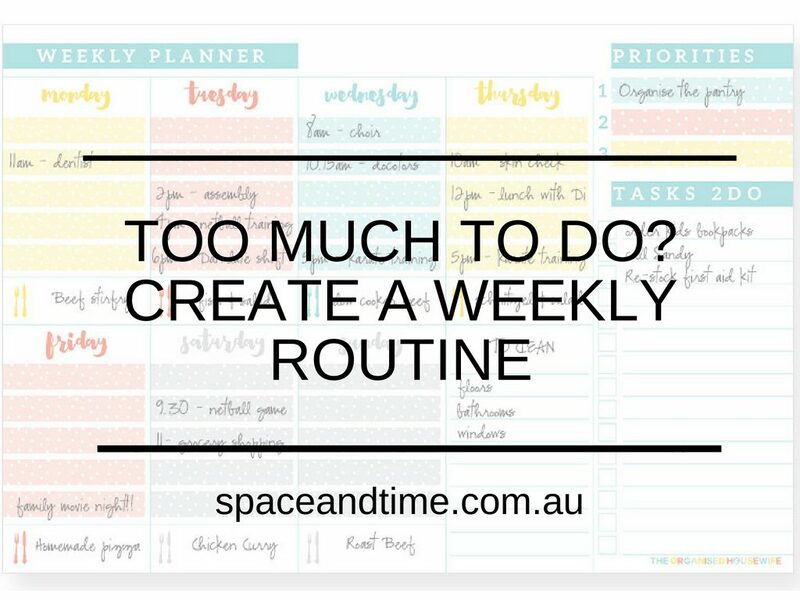 Do you struggle with keeping up with all the you need to do during the week? Bills paid late? Arriving late for appointments? If you’re struggling to get things done try these 4 tips to create a weekly routine . The most important weekly task to put in your routine is “The Week Ahead”. At this specified time each week sit down and have a look at all I need to do in the next week. For me this coincides with the school newsletter so I can drop dates in the diary . For example, for World Harmony dress up day at school, write that date in the diary. Also, on the weekend before the event put time in the diary to get the costume together. Or if you have a doctors appointment on Monday write time in the diary a couple of days before to get the referrals, x-rays or other paperwork that you need to take to the appointment. Make note how long it will take you to get to the appointment too, so you know what time to leave home. The second important weekly task I put in my weekly routine is meal planning. I like to do my meal planning on a Wednesday after so I can do the shopping on Thursday after my work and before I pick up my son from school. Make a recurring time in your diary to tackle your paperwork. Pay bills, file, tackle items on your to-do list. 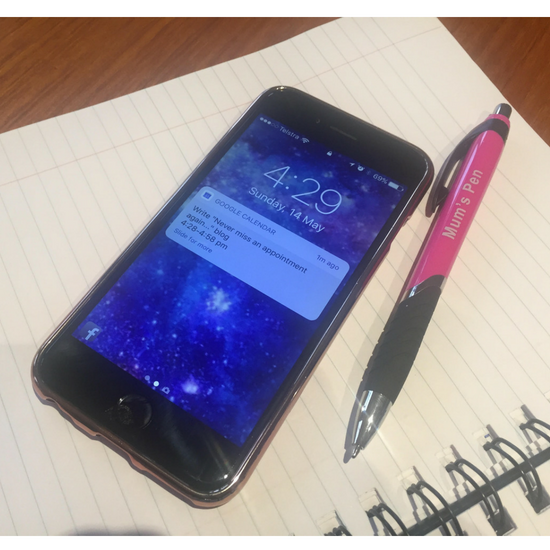 Use a weekly online planner so it can send reminders to your phone. I use Google Calendar for all my recurring appointments and online business bookings. The most important reminder is the 7.00am reminder which reminds us it’s library day today, or school sport or NAPLAN testing etc. You may also like to check out my blog on how to create a morning and afternoon routine to streamline your week even further or how to create a life that you love. Your week will come together with these 4 things scheduled in your diary each week. Remember to be disciplined and make it happen each week. Do you have something in your diary each week that we have missed? Need help putting a weekly schedule together for you and your family. Check out my services here or contact me today for a 20 min, obligation free consultation.